Al Naba TV (undefined) broadcasts in DVB-S Clear on 11641.21MHz, pol.H SR:27500 FEC:5/6 SID:318 PID:681/682 Arabic. New frequency for Al Naba TV: 12685.00MHz, pol.H (DVB-S SR:27500 FEC:5/6 SID:1590 PID:1591/1592 Arabic- Clear). New frequency for Al Naba TV: 11096.00MHz, pol.H (DVB-S SR:27500 FEC:5/6 SID:19 PID:793/1049 Arabic- Clear). 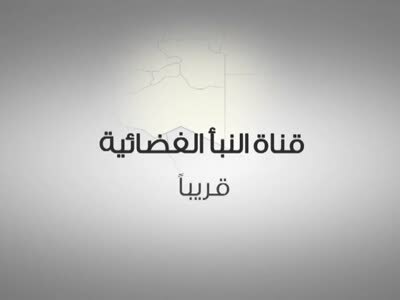 Al Naba TV is back on 11012.00MHz, pol.H SR:27500 FEC:5/6 SID:8018 after a break ( PID:1818/2818 - Clear). New frequency for Al Naba TV: 11012.00MHz, pol.H (DVB-S SR:27500 FEC:5/6 SID:8015 PID:1815/2815 Arabic- Clear). A new channel has started in DVB-S Clear: Al Naba TV (undefined) on 11096.00MHz, pol.H SR:27500 FEC:5/6 SID:19 PID:793/1049 Arabic. New SR for Al Naba TV on 10727.37MHz, pol.H: SR:27500 ( FEC:5/6 SID:6007 PID:6071/6072 Arabic - Clear). New frequency for Al Naba TV: 12380.00MHz, pol.V (DVB-S SR:27500 FEC:3/4 SID:3011 PID:3021/3031 Arabic- Clear). A new channel has started in DVB-S Clear: Al Naba TV (undefined) on 12245.00MHz, pol.H SR:27500 FEC:3/4 SID:102 PID:112/122 Arabic. A new channel has started in DVB-S Clear: Al Naba TV (undefined) on 10721.00MHz, pol.V SR:27500 FEC:3/4 SID:1 PID:309/308 Arabic. New PID for Al Naba TV: PID:6071/6072 Arabic SID:6007 (10727.37MHz, pol.H SR:30000 FEC:5/6 - Clear). Al Naba TV (undefined) broadcasts in DVB-S Clear on 11353.51MHz, pol.V SR:27500 FEC:5/6 SID:1020 PID:2002/2003 Arabic. Al Naba TV is testing in DVB-S Clear on 10727.37MHz, pol.H SR:30000 FEC:5/6 SID:6007 PID:6071/. Al Naba TV has left 10727.37MHz, pol.H (DVB-S SID:6007 PID:6071/6072 Arabic), it is no longer transmitted by satellite in Europe. A new channel has started in DVB-S Clear: Al Naba TV (undefined) on 10727.37MHz, pol.H SR:30000 FEC:5/6 SID:6007 PID:6071/6072 Arabic.